How to choose a life insurance policy? Hi! I'm Frankie Biron, an Insurance Advisor at Trusted Quote. I’ll help you find everything you need to choose the right policy for you and your family. My specialty is life insurance, but I can help find answers for all of your family’s insurance questions. Click here to contact me! Your message has been sent to one of our agents. A response will be delivered shortly. Click here to sign up for our email newsletter to receive a Free Discount RX Card. You'll get insurance tips and trends in your inbox.. and big RX savings at your pharmacy! MetLife Investors USA Insurance Company issues all life insurance products and fixed annuities for MetLife, which has been in business for more than 140 years. The company offers a range of insurance, disability, and annuity products aimed at both investors and the general public. MetLife is currently the largest life insurance carrier in terms of "inforce" policies in North America. MetLife Investors' offices are in Irvine, California, while the larger MetLife headquarters are in New York, NY. Click here to login to MetLife's eService system. You can allocate funds, make withdrawals, or update your personal information. For term life insurance questions, call 800-638-5000. For questions about fixed annuities, call 800-255-9448. For variable annuities, call 800-343-8496. Click Here for Life Insurance Quotes! Hi, I’m Ryan Pinney. As a Chartered Senior Financial Planner, I’ll help protect your family’s financial future. I believe in ethical insurance solutions based on your needs. Welcome to Trusted Quote, your source for insurance and financial planning. Woops, looks like there's no posts to show. Sorry about that. If your diabetes is under control, we can get you insured. We work with insurers who can offer healthy diabetics a 'standard' rating. Click here to learn more. For over 40 years, our company has helped half a million American families protect their future with life insurance. We provide fast, free quotes for life, disability, long-term care insurance, and more. Need immediate assistance? Call 1-800-823-4852 from 8am to 5pm PST Monday through Friday. in good health, no tobacco, residing in Ohio. 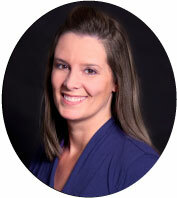 R. Jan Pinney CLU, ChFC is a licensed life insurance agent in all states and the District of Columbia. The following agent license numbers are provided for R. Jan Pinney as required by state law: CA agent #0440057, LA agent #291116, MA agent #1674866, MN agent #20270113, UT agent #58330, agent R. Jan Pinney, DBA Pinney Insurance Services. Commercial use by others is prohibited by law. This site provides term quotes. Each rate is a quote based on information provided by the carrier. No portion of Trusted Quote may be copied, published, faxed, mailed or distributed in any manner for any purpose without prior written authorization of the owner. Subscribe to Trusted Quote News! Save up to 60% on your family's prescriptions when you sign up for our email newsletter. Your free Discount RX Card has been emailed to you. Click here to view it now.